Angela Todisco is Head of Human Resources EMEA North. That includes end-to-end HR responsibility for France, United Kingdom, Ireland, Netherlands, Belgium, Luxemburg, and the Nordics. She is responsible for shaping and executing the People Strategy for over 8.000 employees within the region. Angela started her professional career as Recruiting Consultant and joined DNV Germany as HR Business Partner in 2001. Since joining SAP in 2005 she held different responsibilities in SAP´s HR Business Partner team. In 2010 she was promoted as Senior HR Manager and lead HR Business Partner teams in different Board Areas such as Products & Innovation, Office of the CEO, Global Finance and Administration and IT. In October 2015 she took over the role of HR Director SAP SE being responsible for more than 14.000 employees in the German Headquarter. In September 2017 Angela was appointed Head of Human Resources EMEA North. In this role she is leading the team of HR Directors in her region and is the trusted HR Business Partner for the Regional President for EMEA North. She is driving various strategic HR initiatives, aiming at enabling leaders and employees to run at their best and unleash their full potential in an open and trusted environment that fosters innovation. 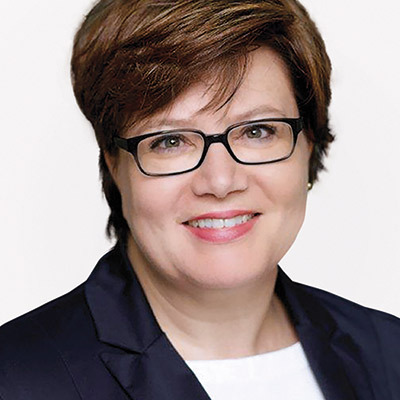 Angela holds a Master Degree in Liberal Arts from the Westphalian Wilhelms-University, Münster and an MBA in HR & Strategy from Quadriga University, Berlin.